During the 2016 US Presidential Election, Secretary of State Hillary Clinton’s private email server has been one of several hot button issues. However, it may be the one that is ultimately glossed over more than any other in the face of her bombastic, demagogic competition. Clinton has been criticized from both the left and the right. Republicans have gone so far as calling her deliberately dishonest and a criminal, while more left-leaning Democrats have used this as a chance to offer their candidate of choice, Senator Bernie Sanders, a second chance — unfortunately for him, to no avail. As it stands, Hillary Clinton has officially clinched the Democratic nomination, and she will face no retribution for her failures. This, however, does not make the situation any less interesting. The FBI investigation began in March 2015, when it was uncovered that her and her staff had been using a private email server, which could have created serious security problems were the server to be hacked. Clinton’s email server was hosted in the basement of her home in Chappaqua, NY, although this information was not disclosed to the State Department at the time. After its stay in her home, the server was then moved to New Jersey, and then to Denver, where it was finally investigated. While it is highly irregular for Clinton to have her own server, the investigation concluded that it was not actually illegal. And while many claim that her server was undoubtedly hacked by foreign actors, the forensics showed otherwise. Whether the server was breached or not, it is difficult to deny that its mere existence posed a real security threat. The question then becomes: why was what Hillary Clinton did so wrong? And what does it say about the United States’ criminal justice system? The FBI investigation’s final recommendation was not to move forward with any criminal prosecution against Clinton. However, it did shed light on her actions, stating that her private server was a legitimate security risk and calling her “extremely careless”. In a statement addressing the conclusion of the investigation, FBI Director James Comey announced that the FBI identified 7 separate email threads which contained information which had been classified as “top secret”. Using a private server for such sensitive emails is in fact illegal, and could have given foreign states or actors access to information that could put US national security into a state of turmoil. Despite these findings, the FBI’s decision not to recommend charges against Clinton was justified by the lack of evidence that her actions had been intentional, as well as the lack of any evidence that the server had actually been compromised. During his statements, Comey did say that Clinton had demonstrated gross negligence, and provided evidence which proved that her amended statement that she had “never knowingly sent or received classified emails” was a lie. This is damning information and, by all rights, she could have faced charges, but she did not. Although Hillary Clinton’s political tenure is riddled with inconsistency, the criticisms against her never seem to stick. A few years ago, she claimed that her private jet had landed under a thicket of sniper fire in Bosnia, yet a video of the landing shows her smiling, waving, and shaking hands with children upon arrival. Despite having clearly engaged in dishonesty, she simply shrugged it off as a misstatement. Clinton seems to be bulletproof from the public’s acrimony, and many critiques of her wrongdoings are immediately labeled as false or exaggerated, when it is clearly not the case. Perhaps this is a product of her Correct the Record campaign, which set out to create thousands of fake accounts on social media in order to push the narrative in her favor. Her history of foreign policy decision-making is perhaps the most damning of all her missteps. Her attempts at state-building in the Middle East have played a direct role in the rise of extremist groups such as ISIS, and she has found herself in league with donors from the Persian Gulf who, while supporting terrorist organizations, were also benefactors of the Clinton Foundation. During her husband’s tenure as president, she pushed him away from intervening in a genocide in Kosovo to push her healthcare agenda. So why is she fit to be president? Above the law, or above Donald Trump? Comey’s testimony illustrated one thing very clearly: Clinton is too big to jail. One could speculate about the multitude of reasons why she was not charged, but the answer is rather simple. Some have tried to do so by claiming that she has deep-seeded ties to intelligence officials and lies snugly in the pockets of the FBI, whilst others believe she has orchestrated some other grand scheme to avoid the reprisal of the American justice system. Ruminating on these political motivations would be a fool’s game, and would also be ignoring the larger issue. What this situation really highlights is the way in which the US justice system treats such matters. US politics is somewhat of a “members only” club. Those who are deeply entrenched in it are hard to criticize, and even harder to reprimand. Hillary Clinton is a perfect example of the systematic “armored plating” that exists all over the country. Truth be told, in any other election, this may have had more severe consequences for Clinton, but Donald Trump is the best case scenario for her. Throughout the process of the election, his unbridled sexism, racism and mobilization of hate-filled Americans has made him an easy target and a person that this country simply cannot elect. Thus, it is the moral duty of free thinking Americans to keep him out of office, no? That’s what a majority of Democratic voters would have you believe, and to a certain degree they are right. This dilemma is further explored in Bernie or Bust (TSH). But, alongside the American justice system, this election cycle has also highlighted the shortcomings of the long-defended American two-party system. Freedom of choice has become the freedom to pick between a sociopathic businessman who represents authoritarian populism, and a self-serving career politician who represents corruption. These are heavy accusations, but they hold true under any standard of intense scrutiny. Hillary Clinton may be the lesser of two evils in this election, but it is still important to understand who you are voting to lead our country when November comes around. When President Barack Obama first made his ascension to the highest office in the United States, the Pew Research Center conducted a survey of American adults to see what word was most commonly associated with the president. The second most reported word was a ‘bad’ one: socialist. To Americans, “socialist” is an unbelievably dirty word, a slur of sorts that can greatly ruin a potential political candidate’s chances of success. It is for this reason that the current popularity of Bernie Sanders, senator from Vermont and candidate for the Democratic Party’s nomination for president, is all the more surprising. Unlike President Obama, who was only called a socialist by his detractors, Senator Sanders actually describes himself with that label. He has championed the Scandinavian system of governance for decades, calling for higher tax rates, a single-payer healthcare system, free college education, increased wages, equal pay for women, stronger unions, campaign finance reform, and the expansion of social services among a litany of other leftist policies. His progressive style of politics recently became a tremendous selling point for him, allowing him to gain the support of millions of Americans between the ages of 18 and 30. Recently, Public Policy Polling (PPP) found that Mr. Sanders is currently supported by 22% of Democrats within that age bracket, beaten only by the heavily favoured Hillary Clinton. This may ultimately be his greatest hurdle, however, as the Democratic Party’s constituency extends far beyond the mostly white and affluent young adults who support Sanders. Clinton, who recently began to liberalise her social stances and highlight the plight of minorities within the party, is already seeing the fruits of such decisions as she currently polls at around 63% overall support rate according to PPP. Sanders, on the other hand, comes in second at a distant 13% overall. The odds of Senator Sanders overcoming Clinton’s staggering popularity are slim, to say the least. Yet, given the nature of primaries, it is likely that his progressive views will have a wider and more important effect on US politics than his actual candidacy. 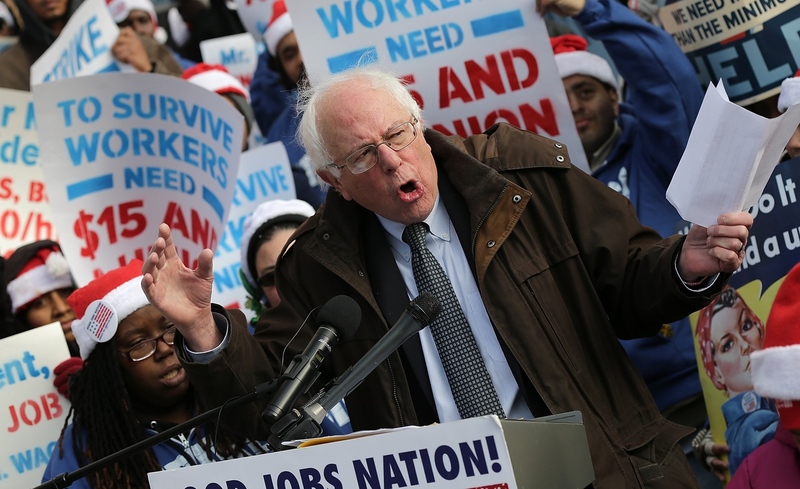 Most candidates for the Democratic nomination will be trying to play catch-up with Mr. Sanders, as his take on political issues, ranging from economics to the environment and social concerns, are more progressive than any other mainstream US politician today. On Friday, during Real Time, Bill Maher spoke in favour of Sanders for president, stating that he has “Hillary talking like Elizabeth Warren”. Indeed, Bernie Sanders could behoove Clinton to adopt many aspects of his economic philosophy as quickly as possible, as concerns of economic fairness and class mobility become central to the Democratic Party’s success in upcoming elections. While the full scope of what his campaign will do to the American political sphere is yet to be seen, some of his ideas are already manifesting themselves in these fledgling campaigns. 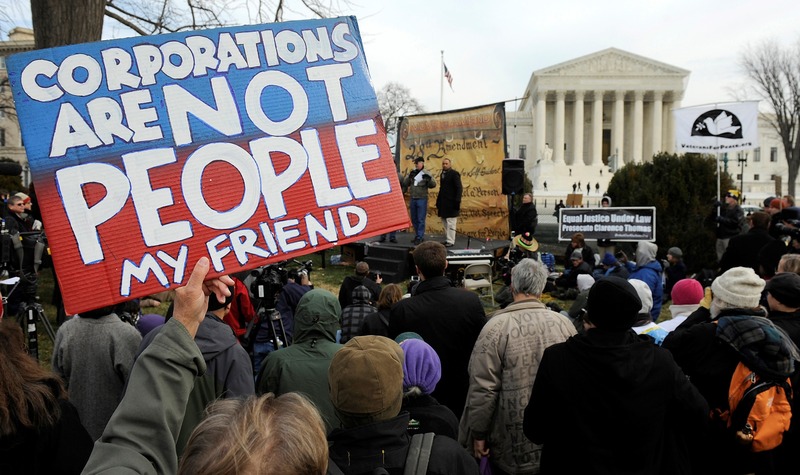 According to the Washington Post, Mrs. Clinton recently informed her top fundraisers that, if elected president, “all of her nominees to the Supreme Court will have to share her belief that the court’s 2010 Citizens United decision must be overturned”. The case to which she is referring, Citizens United v. Federal Election Commission, infamously established that the First Amendment prohibits the government from restricting independent political expenditures by a corporation. And whilst Clinton’s stance was widely acclaimed by supporters, Senator Sanders had already made the same proclamation several days earlier. This was merely the latest in a continuing line of mimicry issued by Clinton’s campaign. On May 7th, after a federal appeals court ruled that the National Security Agency (NSA)’s collection of bulk call data was illegal and unauthorised under the Patriot Act, candidates sprung into action. Clinton, who actually voted twice in favour of the Patriot Act during her time in Senate, tweeted that “Congress should move ahead now with the USA Freedom Act — a good step forward in ongoing efforts to protect our security & civil liberties,” before signing off with the letter “H” to indicate that she had authored the message herself. This tweet, however, came just under six hours after Bernie Sanders had tweeted his own stance on the matter: “in my view, the NSA is out of control and operating in an unconstitutional manner”. Senator Sanders’ ability to make his opponents conform to his beliefs will be a tremendous game changer throughout the Democratic primaries. Having the opportunity to have his progressive views espoused on a national scale, by even more high profile and mainstream politicians than himself, could potentially allow socialism to finally drag itself out of the dregs of American political rhetoric. Although he still has a great deal of ground to make up, Bernie Sanders is becoming more and more of a threat to Clinton’s campaign as the days go by. After a narrow defeat in a straw poll conducted by the Wisconsin Democratic Convention (the importance of which is disputed by some), Senator Sanders has started to etch fear into his opponents. His tremendous turnouts in Iowa and New Hampshire, the states hosting the first two primaries, will likely “cause the Clinton campaign to take Sanders seriously”, according to Democratic strategist Brad Bannon. 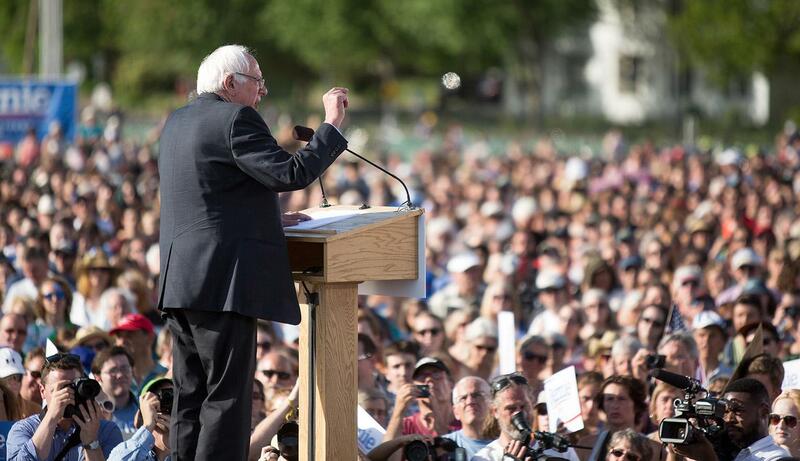 It will still be an uphill battle for Bernie Sanders, but regardless of whether he ultimately wins the nomination or not, he is sure to be a substantial progressive force in 2016 and in the future of US politics.